I've blogged a few times about the power of color in the classroom. Organization is kinda my thing. It's what sets me apart from many teachers who are constantly battling desks that are covered in heaps of paper. Once, a coworker I don't know very well was subbing for me during a meeting. 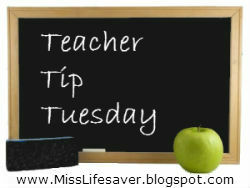 When he came to my class, I guided him over to my desk to show him the lesson plan. As soon as he saw it, he asked me, "Do you even work at this desk? Where's all your stuff?" My mind focuses better when I don't have any distractions around me. And because I know this is true for many of my students, I'm always keeping my eye out for other ways to simplify and organize my classroom and their belongings. One of the easiest tips I can offer is to color code each subject. When I moved to a new school in 8th grade, I was surprised to see that the school mandated what color folder and notebook we used in each class. At first, it felt like a uniform, like they were trying to stifle my individuality. 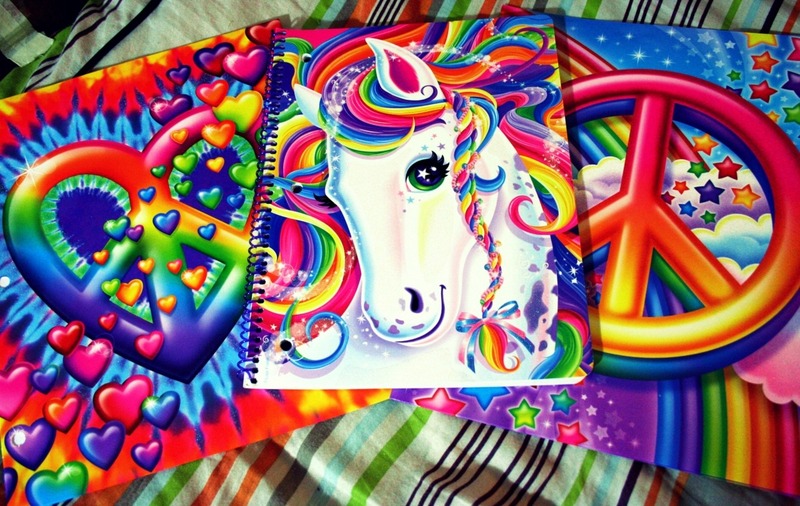 I mean, what was the world coming to if I couldn't declare my love of rainbows, unicorns, and puppies with a plethora of Lisa Frank school supplies?! It didn't take much time, however, until I was able to see the benefit in this situation. It made our locker stops efficient, and it was easy for teachers to quickly confirm that everyone had the right materials. No one ever had to go back to their lockers because they grabbed the wrong folder. It just didn't happen. The fact that the whole school followed this system made it even easier. Simply by looking at the contents in a students' hands would tell you where they were headed or from where they came. Also, it became second-nature for students at this school, who saved their Lisa Frank envy for pencils and erasers that looked cool but never worked. I adopted this color-coding method for myself when I went to high school (and college). It took away some of the anxiety I was feeling about having such limited time to stop at my locker before running to the other end of school for my next class. Being organized like this allowed me to simply reach for the color I knew I needed and be on my way. Our elementary schools do this...only problem. It's like being in a pool of piranhas when shopping for school supplies. Everyone stresses out if they can't find the right colors. Good thing...some parents worry so much they buy extras for the class and we are always overstocked with extra folders. I think the companies have caught on now to this way of thinking. Have you noticed Composition books now come in every color? Lol! I LOVE being organized...just another reason why I love you too!